Total war is recruiting for new and veteran players to fill its ranks. We are a new Clan to AA:PG. And we are looking to get some new blood. We are also looking for experienced players that know how to admin servers, as well as follow Clan protocols when admining. Please leave your Steam/AAO account name in your response. Or find our server @ -=TW=- TotalWar mixed maps. Hope to see you on the battlefield, Happy hunting. If you are interested in competition check out www.fgnleague.com! There is also a post under the esports section showing you how to sign your team up. Have any questions add me on steam and I can walk you through it. 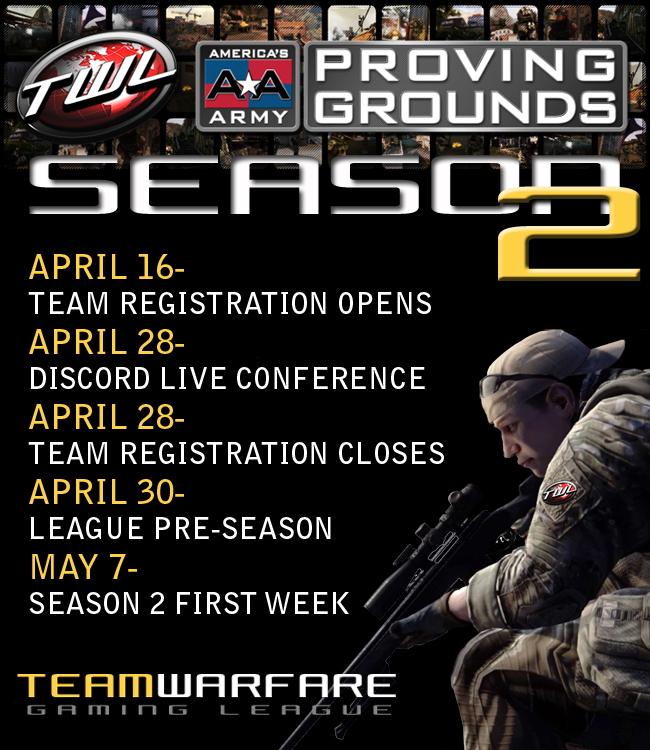 I would like to invite you to the TWL League Season 2. Yegger remember to take our logo off also You still not part of ew. thanks! All official servers are located in US and EU.